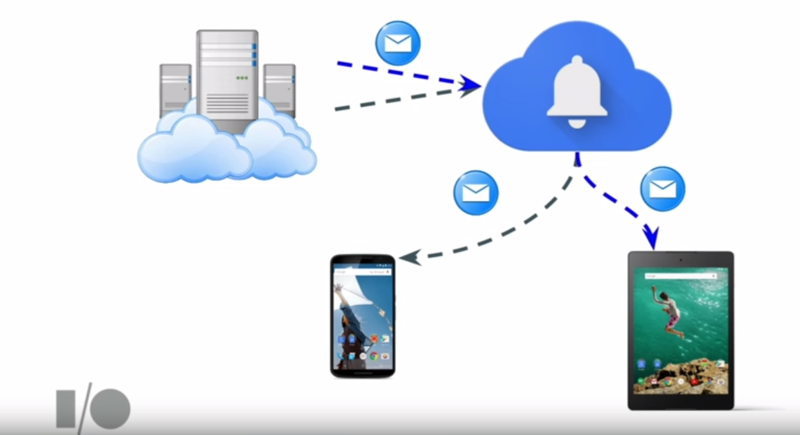 Google Cloud Messaging (GCM) for Android is a service that allows you to send data from your server to your users' Android-powered device and also to receive messages from devices on the same connection. 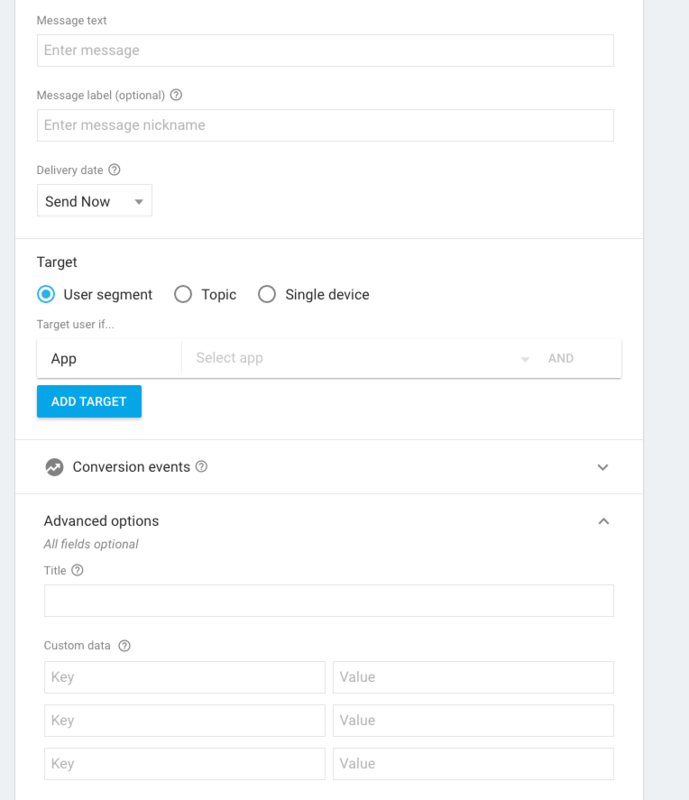 It is now known as Firebase Cloud Messaging (FCM) after a new site launched during the Google's I/O 2016 conference that unifies analytics and messaging into one platform. Review this slide deck for more context. 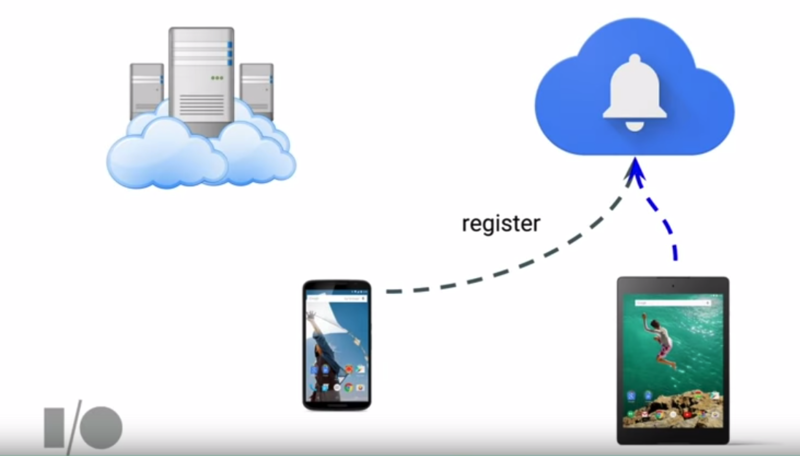 Much of the heavy lifting in supporting push notifications on Android is facilitated by Google-powered connection servers. 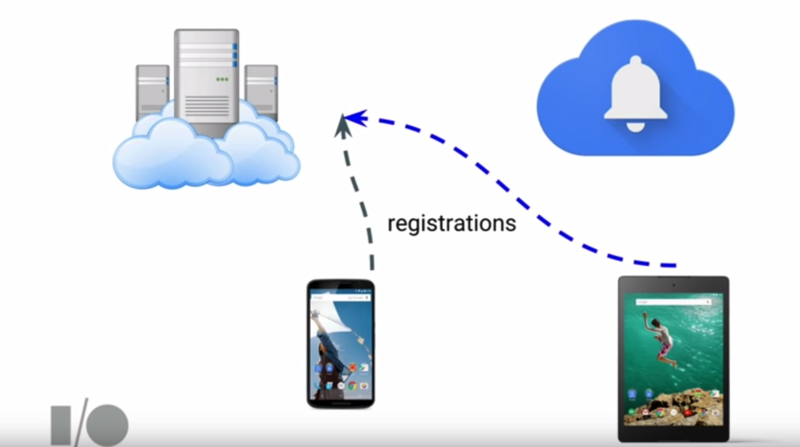 These Google servers provide an API for messages to be sent from your server and relay these messages to any Android/iOS devices authorized to receive them. In other words, in order to implement FCM, your app will need both a Google server and your own server. When your app gets a token from Google, it needs to forward this token to your server. This token should be persisted by the server so that it can be used to make API calls to the Google server. With this approach, your server and the Android device do not need to create a persistent connection and the responsibility of queuing and relaying messages is all handled by Google's servers. Associate an existing app or create a new one. 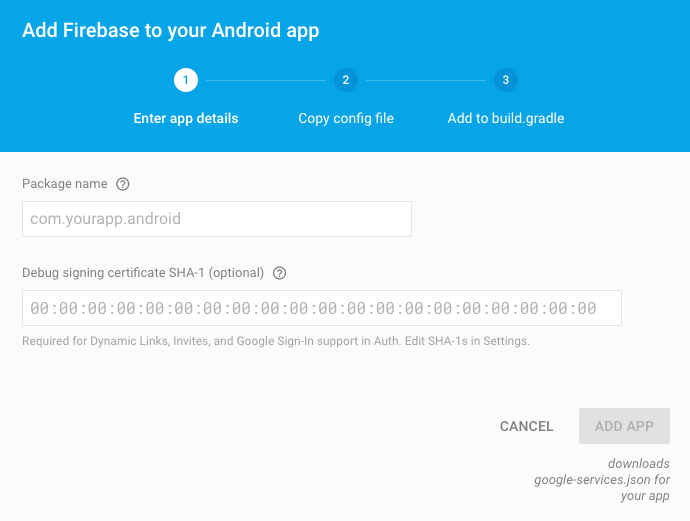 Provide the app name and SHA-1 signature of debug key used to sign your app. Download a google-services.json configuration file. In order to use FCM, you need to login to https://console.firebase.google.com/. You should be given a choice on the right-hand side as to whether to create a new project or import an existing Google app into Firebase. If you have existing app that used to be using FCM, click on Import Google Project. Make sure to click on Add Firebase when you're done. Click on Add App and then copy the google-services.json file that will get downloaded into yourapp/ dir. 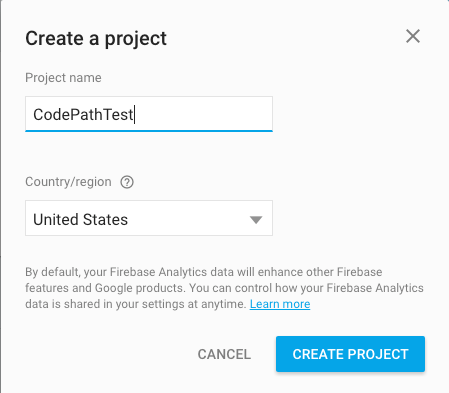 This file includes the project information and API keys needed to connect to Firebase. Make sure to preserve the filename, since it will be used in the next step. Note: If you need to upgrade your existing GCM libraries to FCM, see these instructions. The instructions below have been updated to reflect the depedencies on the FCM package. You can review examples of these outlined in this more elaborate code sample. In certain cases when receiving a push, you want to update an activity if the activity is on the screen. Otherwise, you want to raise a notification. The solutions to this are outlined in this post with a code sample here. You can use the Grow -> Notifications to send test messages to verify that your app is correctly receiving messages. Select the User segment and choose the app to receive the notifications. If you want to pass custom data, you will need to select Advanced options to send custom data. Now we just need a web server to keep track of the different device tokens and manage the pushing of messages to different devices. HTTP POST body can be in JSON. Below is an example of the body of the request to GCM. A simple Sinatra-based ruby application that supports these endpoints is included below. The key point is that there is a /register endpoint, which is needed to record the registration token for a particular example. In a production environment, these POST requests should be sent by an authenticated user, so the token can be associated with that individual. In this example, the user_id must be specified. First, let's install a few packages that will be used for this sample application. curl http://localhost:4567/register -d "reg_token=<REG TOKEN>&user_id=123"
This will send messages to the devices specified. FCM is free to use. In Jan. 2015, Google announced new rate limits in this blog post for FCM. There is a per minute / per device limit that can be sent. More technical details are included in this Stack Overflow posting. Take a look at Google's quickstart sample to test out FCM. If you wanted to actually deploy this sinatra app to production, you can do so for free with heroku. Full source code and details for doing so can be found on this repo.